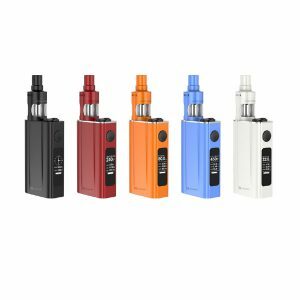 Aspire brand presents a beautifully designed portable kit providing great MTL vaping experience – the Cobble! 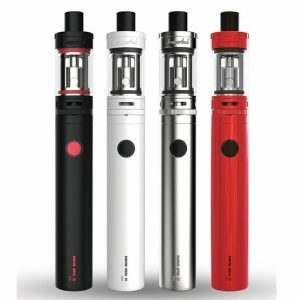 This all-in-one device is manufactured with comfort and in mind to ensure you an enjoyable vaping. Featuring an auto-draw mechanism, it starts working with a simple inhale. The Aspire Cobble is powered by a 700mAh battery and comes with multiple safety functions to protect from undesirable dangerous incidents. What is more, the kit houses a non-replaceable 1.4ohm BVC style nichrome coil ensuring efficient performance to give you a chance to get a flavorful vaping. A smooth to lung airflow system is perfectly suitable for vapers preferring a more restrictive draw with massive vapor and rich flavor. Thanks to a compact size and lightweight, the Cobble kit is a good option to buy if you are often out of your home and have to carry your device with you all the time. The Cobble will fit your pocket easily. 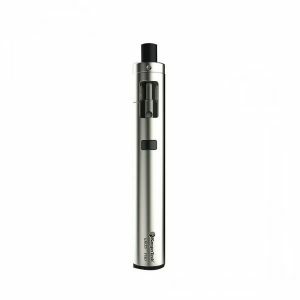 Despite the small size, this all-in-one device can hold 1.8ml of e-liquid and is optimized for nicotine salts. Alongside with high portability, the Cobble kit boasts ergonomics. It comfortably fits the palm of your hand and is smooth on touch. As for appearance, this device is crafted in a stylish way. For your selection, 5 unusual eye-catching color-finishes are offered. You can choose Zebra Stripe, Dark Marble or any other. 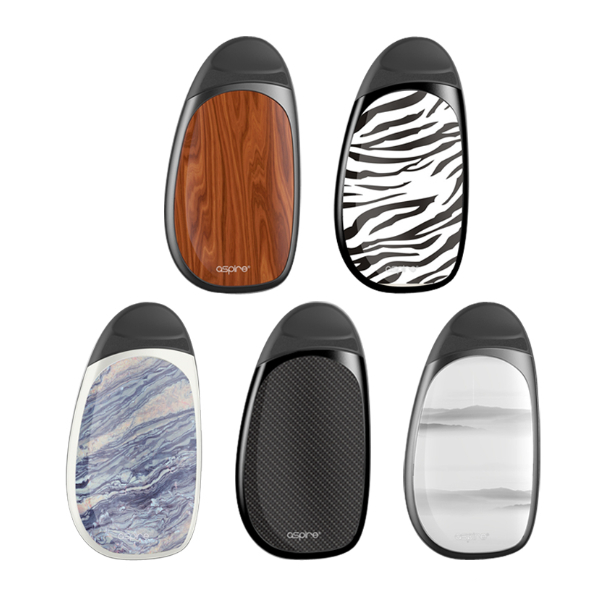 An attractive option for vapers passionate about untypical designs. The whole product design is simple and minimalistic, made of two main parts, device, and a pod. 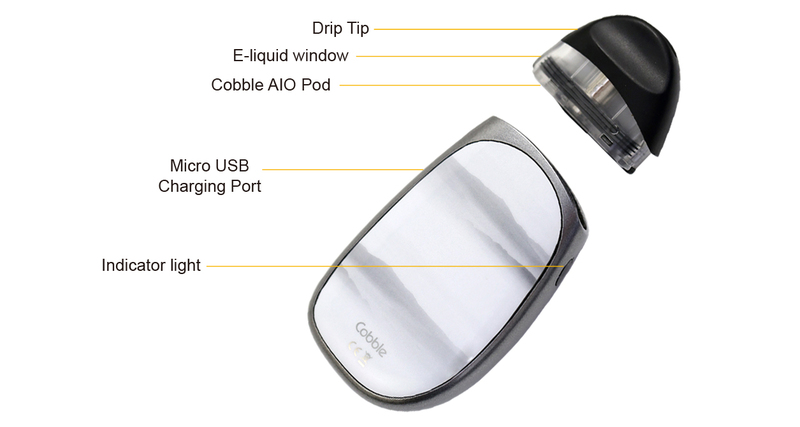 All in all, the Cobble is easy to use, portable, and beautiful kit. Just inhale from the mouthpiece and get best vaping sensations. What is pleasing, the kit comes for a reasonable price. A great deal for US customers!